Rejuvenated Rangers will be looking to complete a treble in the Scottish Cup final on Saturday when they face Hibernian. The winner of this match will win a place in Europe League next season.. Read here our RANGERS v HIBERNIAN betting preview with free predictions, betting tips, enhanced odds, team news, probable lineups, bookmakers bonuses and no deposit free bets on the Scottish Cup! Rangers have finally achieved promotion back to the Scottish Premiership after narrowly missing out last season. They won the league with an 11 point lead over Falkirk but lost twice and drawn twice in the last 4 games. Dominic Ball is suspended after picking up a yellow card in the semi-final win over Celtic and Harry Forrester is out injured while Billy King and Michael O'Halloran are cup-tied. Martyn Waghorn is likely to be given a pivotal role in attack alongside Kenny Miller and Barrie McKay. 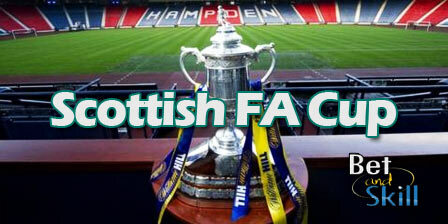 A 3-2 defeat at Falkirk last Friday has ruled Hibernian out of another promotion playoff final. That result consigned them to a third successive season in the Championship and made it just one win in their last four matches in all competitions. Goalkeeper Mark Oxley is likely to replace Conrad Logan in goal while midfielder Dylan McGeouch has recovered from a groin problem. Celtic loanee Anthony Stokes is likely to lead the attack while Jason Cummings is pushing for a start. Striker Farid El Alagui is dealing with a troublesome hamstring and winger Daniel Carmichael is out with a groin issue. Hibernian (4-4-2): Oxley; Gray, McGregor, Hanlon, Stevenson; McGeouch, Fyvie, McGinn, Henderson; Cummings, Stokes. Enhanced Odds! 12/1 Rangers to win + £100 bonus! Risk-free! Price boost! Back 6/1 Rangers to beat Hibernian! Crazy odds! 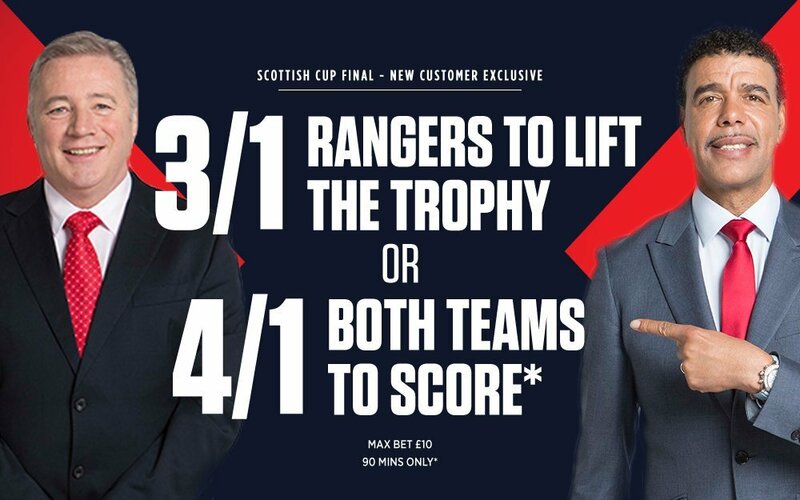 Get 3/1 Rangers to lift the trophy or 4/1 BTTS! "Rangers v Hibernian predictions, tips, odds and lineups (Scottish FA Cup final - 21.5.2016)"